This item is available only to "Dande-approved" schools and educational facilities. 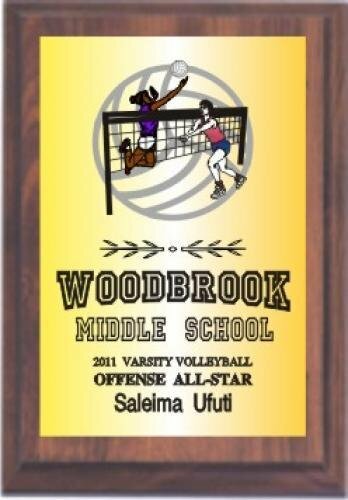 Available in 4 sizes, our economy format includes either a goldtone or silvertone printed plate featuring the school's mascot/logo or sports graphic and name of school, award category, and student recipient. Add this item to your cart to select plate color and specify award categories and recipients. A credit card is required to submit orders through our online system, but in most cases the credit card will not be charged and payment will be processed in accordance with your school's and/or district's agreement with Dande Company. If you prefer, you may instead submit the details of your order by sending an email to info@dandeco.com. Available in 4 sizes, our classic format includes two goldtone or silvertone printed plates separated by a ribbon featuring your school's colors. 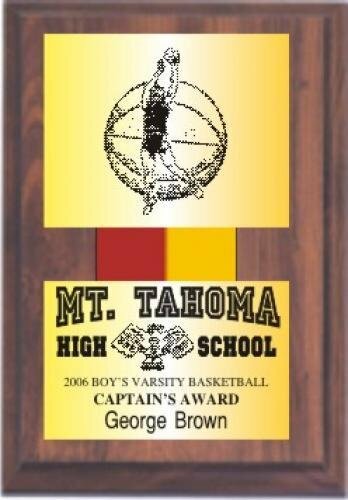 The top plate features your school's mascot/logo or sports graphic, and the bottom plate includes the name of school, award category, and student recipient.Add this item to your cart to select plate color and specify award categories and recipients. Available in 4 sizes, our medallion format features a plaque medallion at top and bottom text plate, both printed on either goldtone or silvertone metal. 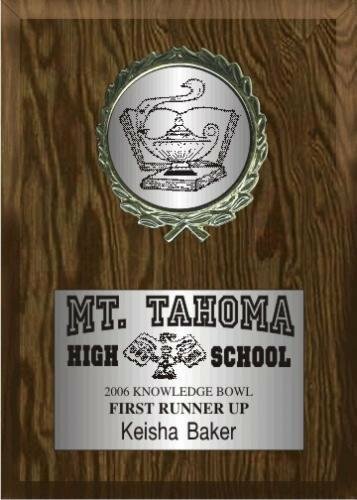 The top medallion features your school's mascot/logo or sports graphic and the bottom plate includes the name of school, award category, and student recipient. Add this item to your cart to select plate color and specify award categories and recipients.